nesdev.com • View topic - Change framerate of MSU-1 video? Change framerate of MSU-1 video? 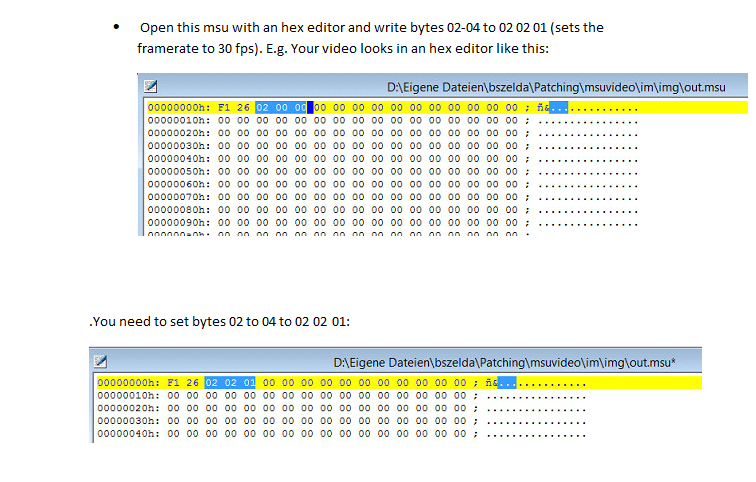 Post subject: Change framerate of MSU-1 video? I'm converting some videos to play on my SD2SNES, for fun. I found a tutorial and have been using that, it works reasonably well. I made my own .bat file to make it more streamlined and easier. And it works pretty great! And this works, but I'm wondering: how do I change the framerate to something else, 24 fps for example?